Profemme is a pure, natural and standardized product containing two hypoallergenic tested, extracts derived from pollen grains of specific organic farming! 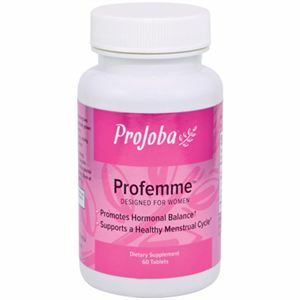 Formulated especially for the needs of women, Profemme helps balance a woman’s monthly cycle, vitality and stamina, and helps achieve a healthy hormonal balance. Recommended Use: As a dietary supplement, take 2 tablets a day, as needed. WARNING: Adults only. If you are pregnant, nursing or taking medication, consult your health professional before using this product.